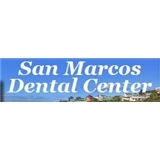 San Marcos Dental Center (San Marcos) - Book Appointment Online! Dr. Hurt and the staff of San Marcos Dental Center are proud to offer state-of-the-art, comprehensive dental treatment in a friendly atmosphere to all in the North San Diego County region. Our goal is to help patients achieve and maintain excellent dental health throughout their lifetime. Using the most advanced technology and the latest dental techniques, we provide the best service available in all areas of dentistry. The following is a list of some of the services we offer: Treatments for Snoring & Sleep Apnea Cleanings and Sealants Root Canal Treatment Periodontal Laser Dentistry & Surgery Sedation Dentistry (See Following Section) Crowns and Bridges Implants Cosmetic Veneers Tooth Whitening Extractions Periodontal Laser Dentistry Dentures Bonding And plenty other services! The staff was very personable and friendly. They answered all of my questions and made sure I was comfortable before the surgery. I will keep coming back to them.